Worldsnooker has published this article ahead of the Scottish Open 2018. With only two events to go before the cut-off for the first of the coral Cup events, it’s now a hot topic. Ronnie O’Sullivan may have already done enough to secure his place in all three Coral Series events thanks to his victory at the Betway UK Championship. The Rocket beat Mark Allen 10-6 in the final in York on Sunday to win a record seventh UK title and 19th Triple Crown in all. And the £170,000 top prize sees him fly up 20 places to second on the one-year ranking list. From the three ranking events he has contested so far this season, O’Sullivan has earned £220,000. The one-year list will be used to determine the fields for the Coral Series later in the season. Only the top 32 will qualify automatically for the Coral World Grand Prix in Cheltenham (February 4-10), then the top 16 go on to the Coral Players Championship in Preston (March 4-10), and only the top eight will make it to the new Coral Tour Championship in Llandudno (March 19-24). 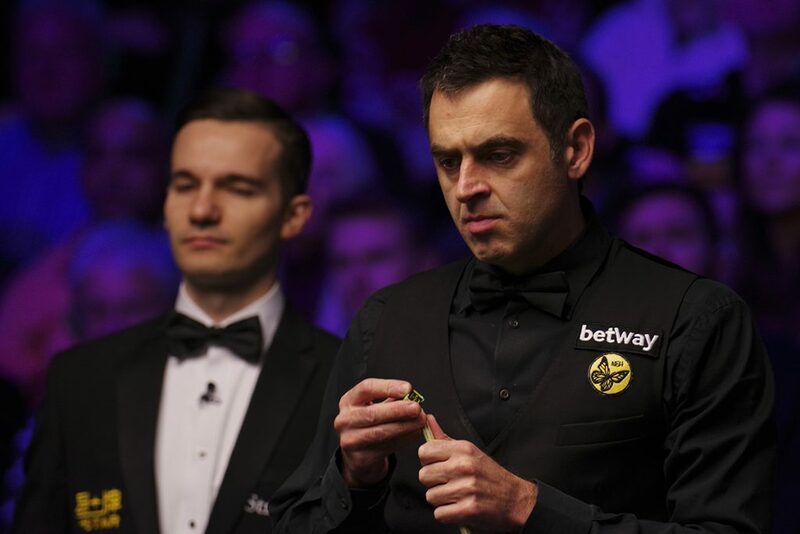 O’Sullivan is now nearly £100,000 ahead of the player in eighth position, Stuart Bingham with £120,500. There are just two events to go until the field of 32 is set for the Coral World Grand Prix. This week’s BetVictor Scottish Open in Glasgow and then the D88.com German Masters (January 30 to February 3) are the only remaining counting events in the Race to Cheltenham. Sunny Akani currently occupied 32nd position with £41,500, but just £5,500 separates him from Scott Donaldson in 41st. For more on that race click here. Mark Allen’s runner-up prize of £75,000 in York put him top of the one-year list with £283,000. Semi-finalist Stuart Bingham moved one place up to eighth while Tom Ford got to the semis of a Triple Crown event for the first time, and his career-biggest pay day of £35,000 sees him jump from 48th to 21st. Eight players inside the top 32 of the one-year list who are outside the top 32 of the official rankings. Four players inside the top 16 of the one-year list who are outside the official top 16. Three players inside the top eight of the one-year list who are outside the official top eight. In the official two year world rankings, O’Sullivan remains in third place but closes the gap on top two Mark Selby and Mark Williams and looks set for a three-way battle for the top spot over the coming months. Allen is up to sixth, equalling his career highest, while Ford leaps eight spots to 28th. The Race to the Masters concluded in York with Jack Lisowski finishing in 16th place and earning a debut in snooker’s biggest invitation event, to take place from January 13 to 20 at Alexandra Palace. For details of the draw click here. There are just two events to go before the field is set for this season’s Coral World Grand Prix which is set to be held at The Centaur, Cheltenham Racecourse for the first time. Forming part of the new three-part Coral Series, the tournament will be played at 4-10 February 2019 and as in recent seasons will once again see 32 players contest the title, with a top prize of £100,000 to be won. Although there are just under two months to go until then however, with invitational events including the Masters and Championship League dominating the month of January, there are in fact just two counting ranking events – the Scottish Open and the German Masters – still to be completed before the important cut-off date. As was the case last season, the top 32 players on the one-year ranking list will earn their places at the World Grand Prix. But how does this ranking list differ from the world’s official ranking order? While the official world ranking list is calculated over a rolling two-year period, the one-year ranking list used to determine qualification for Cheltenham includes only prize money earned since the start of this season at the 2018 Riga Masters, through to and including the 2019 German Masters in Berlin. This covers a total of 11 counting events, nine of which have already been completed, with the Scottish Open due to start on Monday morning in Glasgow. For the avoidance of doubt, this does not include prize money earned from maximum or high break prizes, or invitational events such as the Shanghai Masters or Champion of Champions. Last season saw the final qualifying place taken by Robert Milkins with £57,000 and this year’s final total looks likely to fall somewhere close to that tally. Of the players currently ranked within the world’s top 32, ten are currently outside of the same positions on the one-year ranking list based on their prize money earned this season. 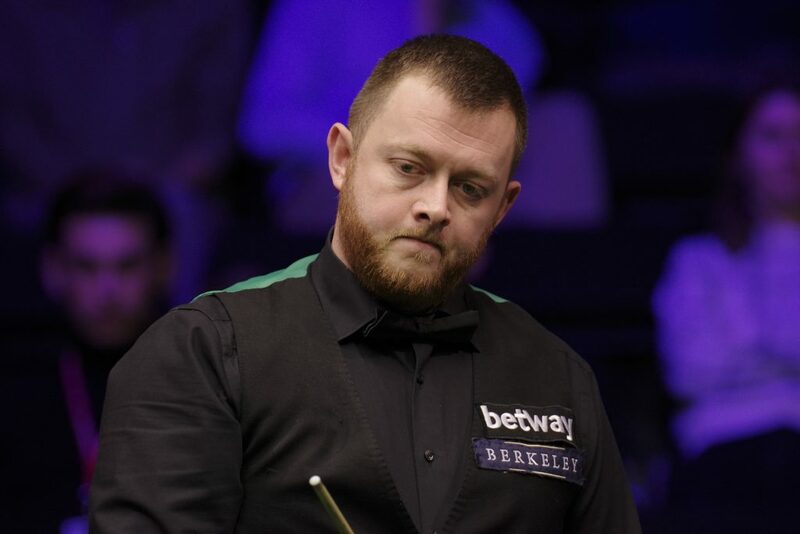 Perhaps most notable among them is former world champion Shaun Murphy (65), who despite currently being ranked inside of the world’s top ten finds himself well down the one-year list having earned just £19,500 during the first half of this season. Other big names in danger include 13th ranked Luca Brecel (35), as well as Scottish duo Anthony McGill (68) and Graeme Dott (42), while Liang Wenbo (48) also needs a significant run at one of the two remaining events to bring himself into contention. The others who currently stand outside of the top 32 on the one-year ranking list are Zhou Yuelong (33), Robert Milkins (36), Anthony Hamilton (37), Ricky Walden (45) and Martin Gould (57), the latter having not entered the Scottish Open. Among those looking to qualify for The Centaur at the expense of those above are of course Martin O’Donnell (16), some 43 places higher on the one-year list than his actual ranking following his career-best start to the season. Also performing above their ranking are Thailand’s Noppon Saengkham (18), English Open finalist Mark Davis (19) andTom Ford (21), who reached his first triple-crown semi-final this week in York. Zhao Xintong (23) is also well inside the current qualification standings despite being on the first year of a two-year tour card, with Matthew Stevens (27), Yuan Sijun (28), Gary Wilson (29), Stuart Carrington (30) and Sunny Akani (32) also in the mix ahead of Scotland and Germany.